With their debut „Spiritus/Sulphur“, Brasilian atmospheric black metallers DEAD LIMBS created a deeply atmospheric, interesting album. In the following lines, lyricsist Saturnus tells us more about the Brasilian metal scene, the story of the myth, which the band created for the album and how „Dark Souls“ is involved in it. DEAD LIMBS is a rather unusual name for a Atmospheric Black Metal Band, it sounds more like Death Metal. Why did you choose this name? At first we didn’t think of a profound meaning regarding the name. It was something that we thought had a connection with the atmosphere we wanted to create. We were able to assign a deeper meaning to it, as time passed. Death isn’t the final state of someone or something, but it’s the pathway to transformation and resurrection. As a dead limb that was originally part of a tree will turn into something else, we’re on a constant process of transformation. Torsten of Northern Silence Productions really seems to think quite highly of you. How did your cooperation come about? We sent some emails to a few labels, but we actually never expected to be a part of NSP’s main roster. All we had in mind was having a few physical copies and some promotion, so when he emailed back it was an astonishment. It is incredible to be where many of the bands we’re fans of are, and we’re honoured by this. Torsten treated us nicely and patiently, but also orientated and advised us on a lot of aspects that we hadn’t any experience. We all hold him in high regard for that. According to the label, your music is influenced by Agalloch and Mgła, which is really audible. Are there also other bands that have inspired you? I think so. I actually had to ask Asclepius and Poimandres about it because I had no idea of any examples at all. That’s probably because the influences were subtle to distinguish. I could say maybe bands like Summoning and Batushka, which we were listening a lot while composing, but we would all agree that the videogame „Dark Souls“ even played a larger part than those from a sonority perspective. Your debut „Spiritus/Sulphur“ is a really impressive, deeply atmospheric album. Apart from the music, the lyrical concept is also quite fascinating, you have created your own myth called „The Ash Seeketh Embers“. Can you shortly tell us, what this tale is about? It’s about ressurection. To die and be reborn as someone greater. It follows the story of a decadent and plagued reign, once glorious, but now collapsing as men become more vicious and degenerate. As it falls, a malign force rises to rule and condemns the people. This scenario turns into an introspective journey of a prophesied emperor who kills the man inside him, and transcends beyond his human flaws to lead his people out of misery. It stands not only as a tale but as an allegorical exercise about the spiritual struggle to become an elevated being. We hope that people enjoy it and give as much attention to it as to the songs. We’ll release the full tale soon, and the prologue can be found in the booklet. The myth you created is influenced by hermetic, Greek mythology and the „Souls“-series, which means the videogame-series including „Dark Souls“. What is it that fascinates you about these three topics? Yes. I’m one of those guys that get on videos, wikis, blogs, Reddit posts… for hours long trying to find any minor detail or reading theories about the „Souls“ universe. It’s amazing how they created and shaped this world throughout the years. It’s so rich and brilliantly made, and yet so mysterious. I’m not a good player, though. About the Greek mythology, it’s something I’m very fond of since I was a kid. I had a lot of books with myths and they all have this trait of oddness; men turning into dolphins, a king that turns everything he touches into gold… Finally, about hermeticism. For Asclepius and me, Hermes‘ writings are very curious and interesting; occultist aesthetics and its allegorical themes are things we like to get into. For Poimandres this is different, he developed a deep religious connection with it. How did you come up with the idea of writing your own myth, inspired by these subjects? It came to be as a result of a profound immersion in these matters. We wanted to create our world, our stories. We wrote a basic text at first, just defining the characters and the events. As we were writing, this story slowly became more complex and the world bigger. Then, I wrote the origins of each character and some previous events that led into the story of „Spiritus/Sulphur“. This one that I wrote later became the prologue that is in the booklet. From then it was clear enough for us that we had to expand this world. Will you continue your mythical tale on the albums to come or will there be completely new lyrical themes? We’ve been thinking a lot about this, and we might create something new, but it’s something we still need to discuss. Maybe another myth with similar atmosphere, we’ll see. In your line-up it says that Asclepius is doing the instrumentals while Poimandres is working on the concept and you are doing the lyrics. How exactly are you working together and who is singing on the record? These were the main roles for each one of us but everyone was deeply involved in all of the aspects of the album, meaning that even though Poimandres dealt mainly with the concept, he also worked in the song-writing; the same applies to Asclepius and me. Asclepius is the only one singing the harsh vocals while each one of us does clean vocals. We tried to make the singing, both growls and clean vocals, to work in a way that would benefit the narrative. That explains why we had clean vocals at some specific parts. The artwork of the album also looks as if it was a real ancient work of art depicting an existing ancient myth. What can you tell us about it? Yes, in fact it is an old hermetic emblem. We decided that the illustration fits the imagetic essence of the lore really well. All we had to do was adapting the symbolism contained in it so it would make more sense in the world of ideas. In the album’s context, the sun would be Spiritus and the moon Sulphur. The alchemical and hermetic allegories were essential for the construction of the universe of „Spiritus/Sulphur“. Despite its ambitious concept and some rather long tracks, „Spiritus/Sulphur“ is just 35 minutes long. Why did you choose this rather short running time? One of our main concerns during the structuring of the album was to make a coherent and well-driven narrative, with a comprehensive storyline, but without losing the lyricism. We also wanted to make it more straightforward, so only the fundamental parts made it onto the album and that’s why it may sound like a bunch of nonsense for an outsider. The running time wasn’t a concern. I would enjoy a few more minutes, but we’re happy as it is. One of the reasons for the short running time are the short two interludes. How important are these two interludes within the album’s concept? Their purpose is to introduce the moments in which the protagonist is in a profound introspection, and these moments precede crucial events that will change him. As I said, we wanted the album to be more straightforward, so I think their short length works fine like stage curtains on a play. The album has been produced by Patrick W. Engel at the Temple Of Disharmony. Why did you choose him as a producer and how was it to be working with him? Poimandres managed to make a pretty decent mix and master with what he had available (which is almost nothing), but the fact is that he’s not a professional and we don’t have any good equipment at all. That’s why Torsten put us in contact with Patrick so he could master the album, helping us to take a step further with it. We had some dissents over minor technical matters but that’s irrelevant since he knew what he was doing and did a great job with the record. What can you tell us about the Brazilian metal scene? Are there any other bands from there that you can recommend? I see a huge potential on our metal scene. Thy Light, for example, stood out and had a big impact on the international scene. On the other hand, there are a lot of bands that share the same musical ideas and very few of them bring something new. I live in a small town on the countryside of Rio de Janeiro and there are dozens of metal bands here that sounds exactly the same. That makes the scene saturated to the point that becomes difficult to newcomers that brings new content to step up. Besides the one I already mentioned, I’ll recommend Labirinto, a must-hear for those into post-metal. Do you intend to do live shows, maybe even in Europe? We were so immersed in the construction of the album that we never gave a good thought on doing live shows. I think we will keep working on future projects for DEAD LIMBS such as EPs, lore content and albums for now. Yet, we’re open to discuss any opportunity if it happens. But I still think Europe is a far away dream. Favorite album of all time: „Blessed He With Boils“ by Xanthochroid. At least for now. DEAD LIMBS in ten years from now: With our creative goals achieved. I want to thank you for the opportunity, Stephan! I hope people enjoy what we’re creating. Mit ihrem Debüt „Spiritus/Sulphur“ haben die brasilianischen Atmospheric-Black-Metaller DEAD LIMBS ein sehr stimmunsgvolles, interessantes Album geschaffen. 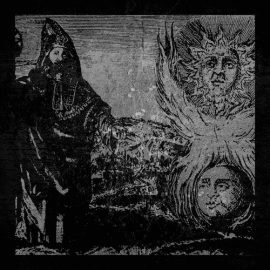 Saturnus, der die Lyrics des Albums geschrieben hat, erzählt uns im Zuge der folgenden Zeilen, wie es um die Metal-Szene in Brasilien bestellt ist, worum es im eigens für das Album geschriebenen Mythos geht und was „Dark Souls“ damit zu tun hat. DEAD LIMBS ist ein eher ungewöhnlicher Name für eine Atmospheric-Black-Metal-Band, da denkt man vielleicht eher an Death Metal. Wie kamt ihr zu dem Namen? Anfangs haben wir uns keine allzu tiefgründigen Gedanken über einen Bandnamen gemacht. Wir dachten einfach, dass er zu der Atmosphäre passte, die wir erschaffen wollten. Mit der Zeit erkannten wir in ihm jedoch einen tieferen Sinn. Der Tod ist nicht der letzte Zustand von etwas oder jemandem, es ist vielmehr der Pfad zur Transformation und Wiedergeburt. So wie sich der tote, abgetrennte Ast eines Baumes schließlich in etwas Anderes verwandelt, sind auch wir Teil eines immerwährenden Prozesses der Transformation. Torsten von Northern Silence Productions scheint wirklich große Stücke auf euch zu halten. Wie kam es zu eurer Zusammenarbeit? Wir haben ein paar Mails an einige Labels geschickt, aber eigentlich haben wir nie damit gerechnet, ein Teil von NSP zu werden. Alles, was wir wollten, waren ein paar CDs und ein bisschen Promotion. Als er uns dann zurückschrieb, war das also eine erstaunliche Überraschung. Es ist echt unglaublich, dort zu sein, wo so viele der Bands sind, die wir gut finden, das ehrt uns sehr. Torsten ist wirklich nett und geduldig mit uns umgegangen, aber auch sehr gezielt und er hat uns in vielen Dingen beraten, in denen wir noch nicht so viel Erfahrung hatten. Das rechnen wir ihm hoch an. Laut dem Label seid ihr von Agalloch und Mgła beeinflusst, das hört man auch wirklich. Gibt es noch andere Bands, die euch inspirieren? Ich denke schon. Da musste ich aber Asclepius und Poimandres fragen, weil mir keine konkreten Beispiele eingefallen sind. Das liegt vielleicht daran, dass die Einflüsse so subtil in Erscheinung treten. Ich würde sagen, es waren wohl auch noch Bands wie Summoning und Batushka, die haben wir während des Komponierens viel gehört, aber wir sind uns alle einig, dass das Videospiel „Dark Souls“, aus klanglicher Perspektive, eine sogar noch größere Rolle gespielt hat. Euer Debüt „Spiritus/Sulphur“ ist ein wirklich eindrucksvolles, atmosphärisch dichtes Album. Neben der Musik ist auch das Textkonzept echt faszinierend, ihr habt euren eigenen Mythos namens „The Ash Seeketh Embers“ geschaffen. Kannst du uns kurz erzählen, worum es dabei geht? Er handelt von Wiedergeburt. Darum, zu sterben, und als jemand Größerer neu geboren zu werden. Die Geschichte beginnt in einer dekadenten und geplagten Herrschaft, die einst glorreich war, nun aber am Zerfallen ist, da die Menschen immer bösartiger und degenerierter werden. Als sie schließlich zugrunde geht, erhebt sich eine unheilvolle Kraft, die die Menschen verdammt. Dieses Szenario resultiert in der introspektiven Reise eines prophezeiten Kaisers, der den Mann in sich tötet und über seine menschlichen Schwächen hinauswächst, um sein Volk aus seinem Elend herauszuführen. Es handelt sich dabei nicht nur um eine Fabel, sondern um eine Allegorie über das spirituelle Streben, um ein erleuchtetes Wesen zu werden. Wir hoffen, dass die Geschichte den Leuten gefällt und dass sie ihr genauso viel Aufmerksamkeit zukommen lassen wie den Songs. Wir werden die komplette Sage bald veröffentlichen, den Prolog findet man bereits im Booklet des Albums. Eure textlichen Einflüsse liegen in der Hermetik, der griechischen Mythologie und in der „Souls“-Serie, also der Videospiel-Reihe um „Dark Souls“. Was begeistert euch so sehr an diesen Themen? Ich bin einer dieser Typen, die stundenlang in Videos, Wikis, Blogs, Reddit Posts usw. stöbern, um auch nur die kleinsten Details oder Theorien über das „Souls“-Universum zu finden. Es ist unglaublich, wie sie diese Welt über die Jahre geschaffen und geformt haben. Sie ist so reichhaltig und brillant gemacht, dabei auch so mysteriös. Ich bin aber kein guter Spieler. Der griechischen Mythologie konnte ich schon als Kind viel abgewinnen. Ich hatte viele Bücher mit Mythen darin und sie alle haben dieses Seltsame an sich. Menschen, die sich in Delfine verwandelten, ein König, der alles, was er berührt, in Gold verwandelt usw. Für Asclepius und mich sind außerdem die hermetischen Schriften sehr interessant. Wir vertiefen uns gern in okkulter Ästhetik und allegorischen Themen. Bei Poimandres ist das etwas Anderes, er hat inzwischen eine tiefe religiöse Verbindung dazu. Wie kamt ihr darauf, auf diesen Themen aufbauend euren eigenen Mythos zu schreiben? Das kommt daher, dass wir uns damit eingehend befasst haben. Wir wollten unsere eigene Welt erschaffen, unsere eigenen Geschichten. Als erstes haben wir einen einfachen Text geschrieben, der die Charaktere und Ereignisse definiert. Je mehr wir schrieben, desto komplexer wurde die Geschichte und desto größer wurde die Welt. Dann schrieb ich die Ursprünge eines jeden Charakters und die Geschehnisse, die zu der Story von „Spiritus/Sulphur“ führen. Ebenjene wurden später zum Prolog, der im Booklet des Albums zu lesen ist. Von da an wussten wir, dass wir diese Welt weiter ausbauen wollten. Werden eure nächsten Alben diese Geschichte weiterführen? Wir haben schon viel darüber nachgedacht und wir werden vielleicht etwas Neues erschaffen, aber das müssen wir noch diskutieren. Vielleicht einen anderen Mythos mit einer ähnlichen Atmosphäre, aber das werden wir noch sehen. In eurer Bandinfo steht, dass Asclepius die Instrumente einspielt, während Poimandres für das Konzept zuständig ist und du für die Texte. Wie genau läuft denn die Zusammenarbeit zwischen euch ab und wen hört man hinter dem Mikro? Dies ist unsere allgemeine Einteilung, aber jeder von uns war in sämtlichen Aspekten des Albums tief involviert. Obwohl also Poimandres hauptsächlich für das Konzept zuständig war, hat er auch am Songwriting mitgewirkt, dasselbe gilt für Asclepius und mich. Asclepius kümmert sich außerdem als Einziger um die Screams, während wir alle den Klargesang beisteuern. Wir wollten, dass sowohl der Gesang als auch die Screams der Erzählung zuträglich zusammenwirken, deshalb haben wir an manchen Stellen auch Cleans eingebaut. Auch das Cover des Albums wirkt tatsächlich so, als könnte es ein antikes mythologisches Kunstwerk sein. Was kannst du uns darüber erzählen? Ja, es ist tatsächlich ein altes, hermetisches Emblem. Wir fanden, dass die Illustration sehr gut zur bildlichen Essenz der Geschichte passte. Wir mussten also nur die darin enthaltene Symbolik adaptieren, damit er mit der Geschichte in Einklang kommt. Im Kontext des Albums ist die Sonne Spiritus und der Mond Sulphur. Die alchemistischen und hermetischen Allegorien waren essentiell für die Entstehung des Universums von „Spiritus/Sulphur“. Trotz des ambitionierten Konzepts und der zum Teil langen Tracks ist „Spiritus/Sulphur“ nur 35 Minuten lang. Wieso habt ihr diese eher kurze Spielzeit gewählt? Einer der uns wichtigsten Punkte beim Strukturieren des Albums war, eine kohärente Erzählung einer komplexen Storyline zu kreieren, ohne dass dabei die Lyrik abhanden kommt. Wir wollten außerdem ein möglichst geradliniges Album, deshalb schafften es nur die wichtigsten Parts auf das Album, deshalb klingt es für einen Außenstehenden vielleicht etwas unsinnig. Die Laufzeit spielte für uns keine Rolle. Ich fände ein paar Minuten mehr gut, aber wir sind glücklich so, wie es ist. Einer der Gründe für die vergleichsweise kurze Laufzeit ist der, dass zwei der sechs Tracks kurze Interludes sind. Welche Rolle spielen diese beiden Zwischenspiele im Kontext des Albums? Ihr Zweck ist es, die Momente einzuleiten, in denen der Protagonist tief in sich geht. Auf ebenjene Momente folgen entscheidende Ereignisse, die ihn verändern werden. Wie gesagt, wir wollten, dass das Album eher geradlinig ist, deshalb denke ich, dass die kurze Laufzeit gut funktioniert, wie ein Vorhang bei einem Theaterstück. Produziert wurde die Platte von Patrick W. Engel im Temple Of Disharmony. Warum habt ihr euch gerade für ihn entschieden und wie war die Zusammenarbeit mit ihm? Poimandres hatte mit dem, was er zur Verfügung hatte (also fast nichts) ein ganz gutes Mixing und Mastering hinbekommen, aber es ist nun mal Fakt, dass er kein Profi ist und dass wir überhaupt kein gutes Equipment haben. Deshalb brachte uns Torsten mit Patrick in Kontakt, damit er das Album mastern konnte, was uns einen ganzen Schritt weiterbrachte. Wir hatten ein paar Unstimmigkeiten bezüglich ein paar kleiner technischer Angelegenheiten, aber eigentlich ist das irrelevant, denn er weiß, was er tut und hat mit der Platte einen tollen Job gemacht. Wie steht es um die Metal-Szene in Brasilien? Gibt es noch andere Bands, die ihr uns empfehlen könnt? Ich sehe großes Potential in unserer Metal-Szene. Thy Light stechen zum Beispiel hervor und haben viel Einfluss auf die internationale Szene. Andererseits sind da auch viele Bands, die dieselben musikalischen Ideen haben und kaum etwas Neues auf den Tisch bringen. Ich lebe in einer kleinen Stadt im ländlichen Bereich um Rio de Janeiro und da gibt es dutzende Metal-Bands, die alle exakt gleich klingen. Deshalb ist die Szene schon so übersättigt, dass es sogar für Newcomer schwer wird, etwas Neues zu schaffen. Neben der Band, die ich bereits erwähnt habe, empfehle ich noch Labirinto, ein Must-Hear für alle, die etwas mit Post-Metal anfangen können. Plant ihr auch live aufzutreten, vielleicht sogar in Europa? Wir haben uns so in die Entstehung des Albums vertieft, dass wir noch gar nicht darüber nachgedacht haben, ob wir live auftreten wollen. Ich denke, wir werden mit DEAD LIMBS vorerst nur an weiteren Projekten wie EPs, Sagen und Alben arbeiten. Wenn sich die Möglichkeit ergibt, sind wir aber bereit, darüber zu diskutieren. Europa ist aber wohl noch ein sehr ferner Traum. Agalloch: Eine Busfahrt vor ein paar Jahren von der Schule nach Hause, auf der ich „The Mantle“ gehört habe. God Of War: Ich erinnere mich daran, wie ich mit meinem Vater die ersten drei Teile durchgespielt habe. Das bringt schöne Erinnerungen zurück. Religion: Etwas, das man erstreben muss. 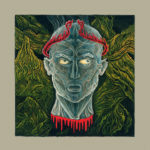 Absolutes Lieblingsalbum: „Blessed He With Boils“ von Xanthochroid. Zumindest vorerst. DEAD LIMBS in zehn Jahren: Unsere kreativen Ziele erreicht. Ich möchte dir für die Gelegenheit für das Interview danken, Stephan! Ich hoffe, den Leuten gefällt, was wir kreieren.